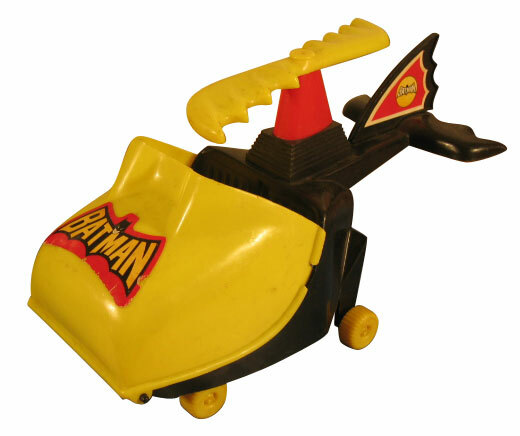 The Bat Copter is extremely endearing. It’s a very toy-like toy. Bright colors and big shapes that show off the dynamic duo in a, …well, in a DYNAMIC fashion! There are two versions, one with cockpit shield and one without. I also like the fact that it’s really not trying to hard to be a helicopter. I mean, look at that fat yellow front, with the bars that hold the figure in. It’s a bumper-car! Build it to scale and put pedals in this thing and you are THE COOLEST kid on the block! 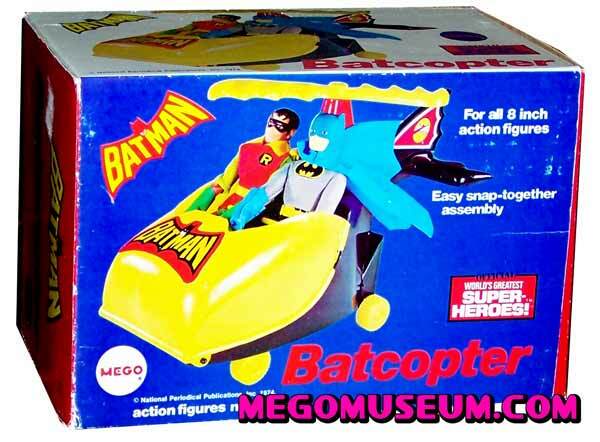 The Cool art box for the Batcopter almost makes it look like a real helicopter. Thanks to Dan Crandall, we have a picture of the hard to get Photo Box for the Bat Copter, it’s pretty sweet! 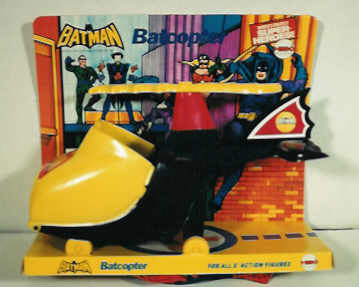 The Bat Copter in it’s open display card, one of the three types of packaging.